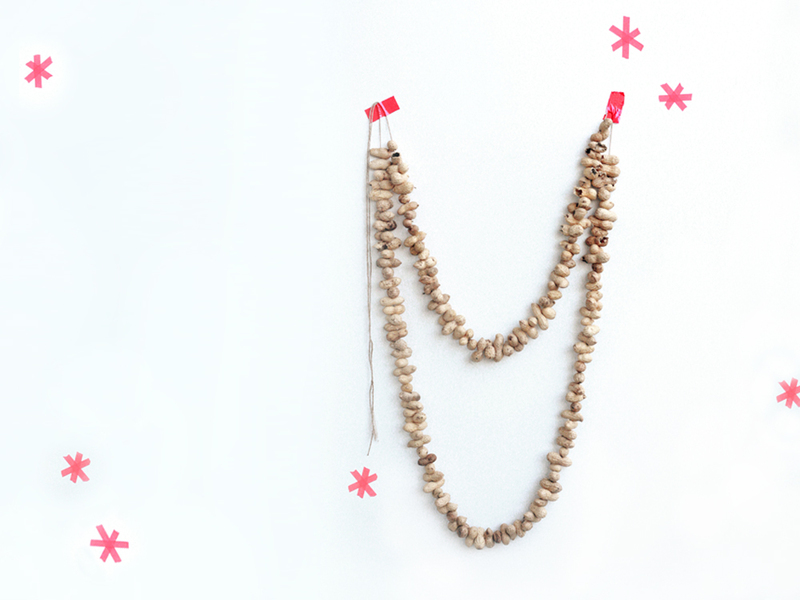 We have this little tradition of making a bird garland every winter. 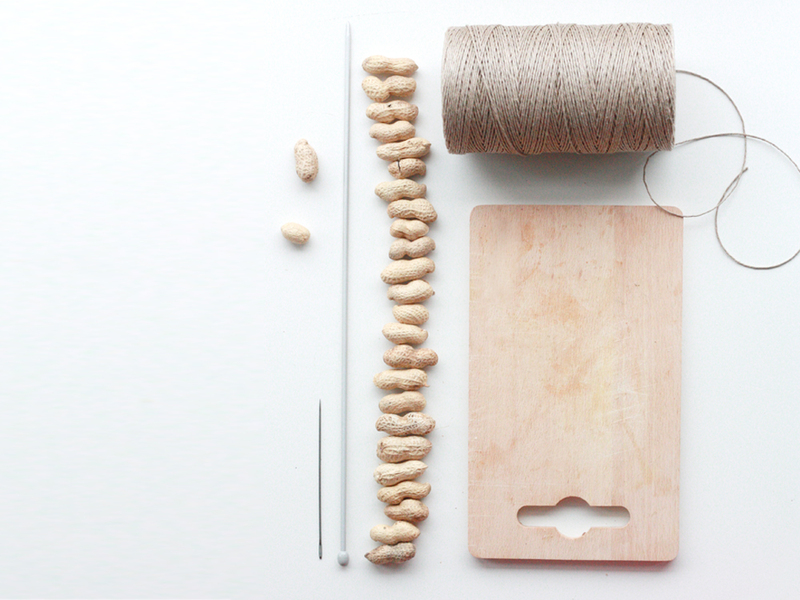 A small fun project to help the birds get through the time of year they have a little less food. It’s fun to watch them eat and spot all kinds of birds. 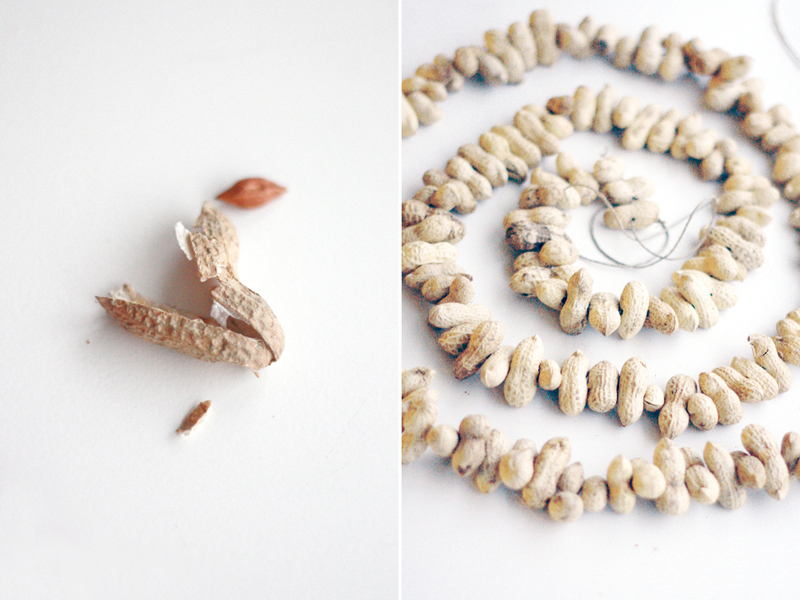 It also makes very nice gift. 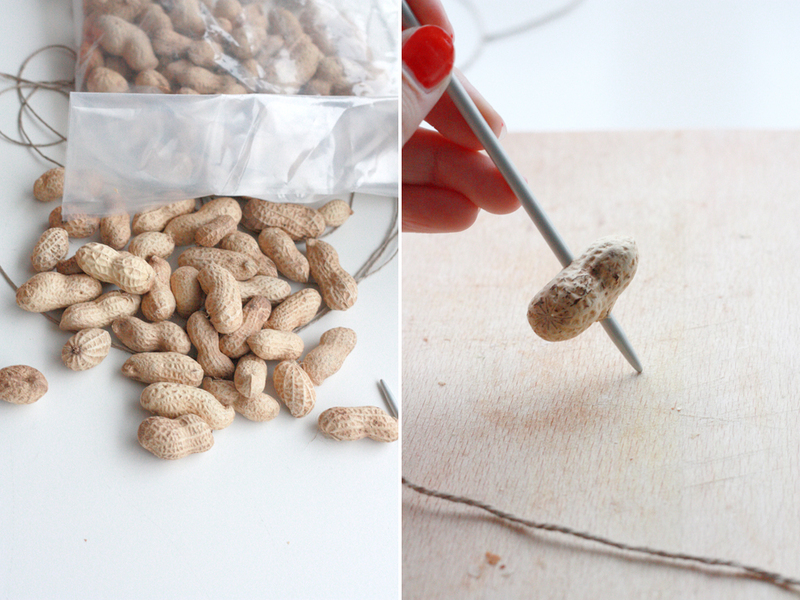 Pierce all peanuts with the knitting needle. 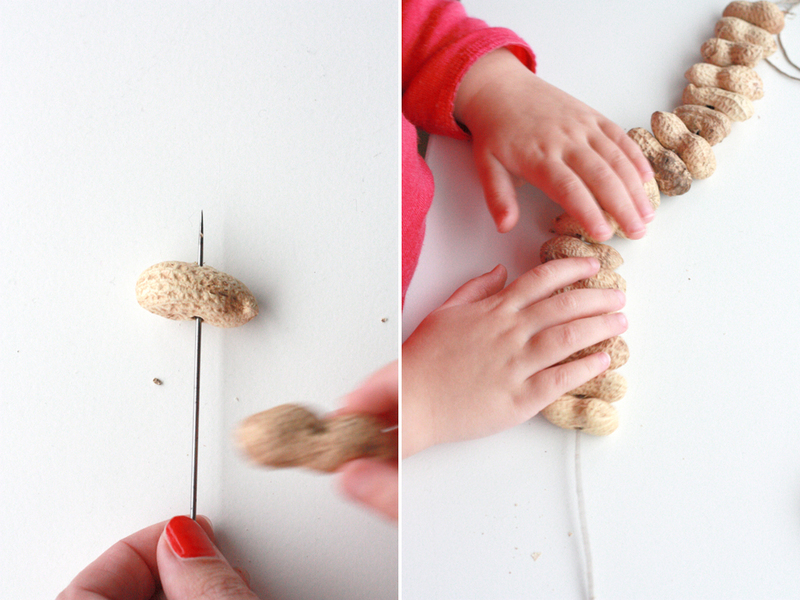 The center of the peanut works best. 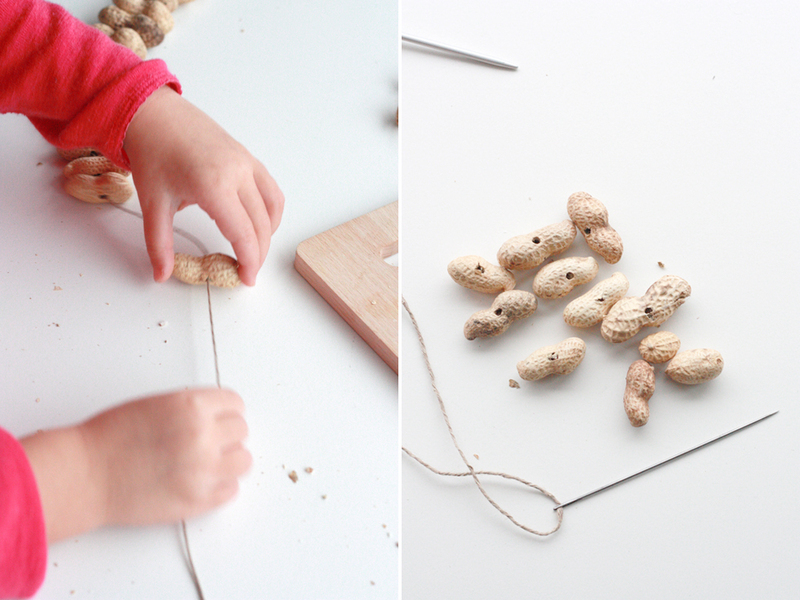 Find a nice spot to hang your garland, so you can watch the birds enjoy their peanut banquet.